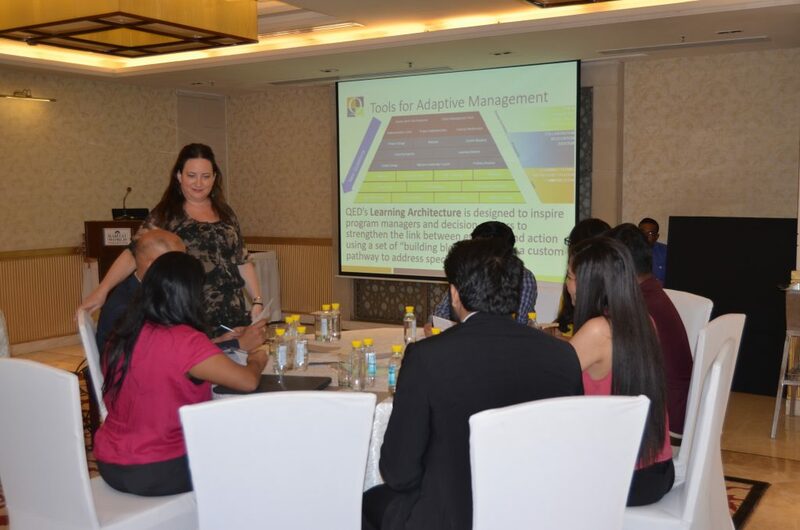 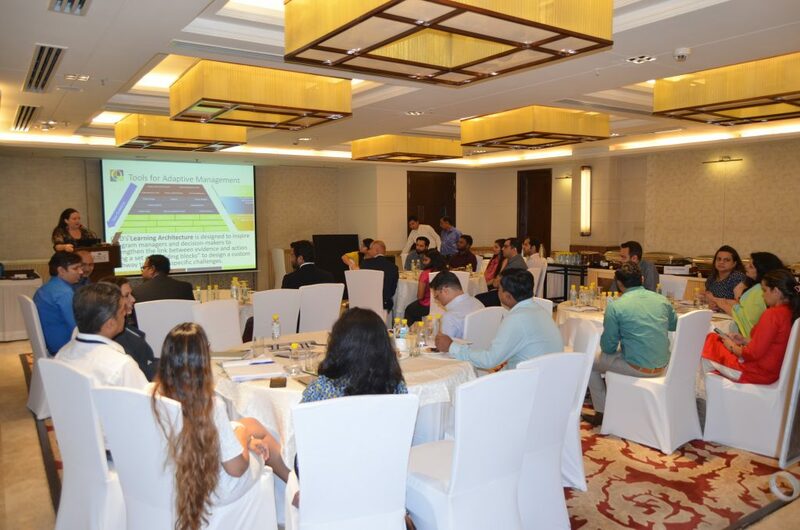 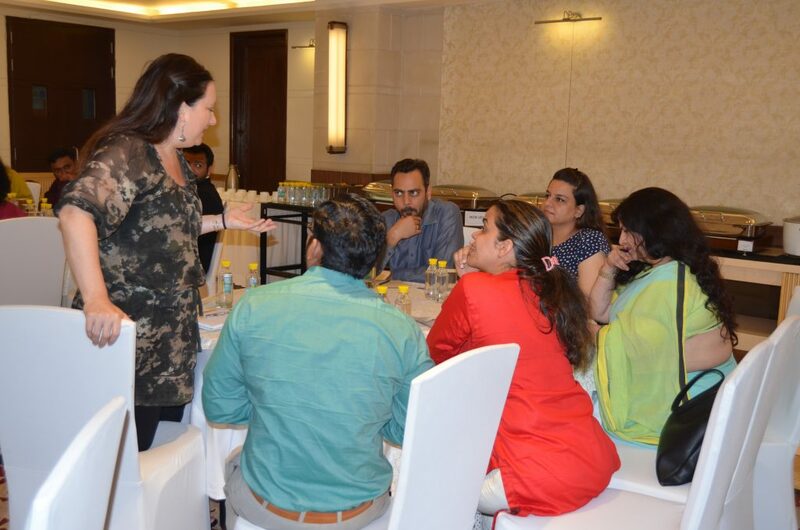 On April 4, QED’s Learning Expert, Jennifer Dahnke, presented The Learning Architecture, developed by the QED Group during a lunch program on adaptive management, at the India Habitat Center in New Delhi, India. 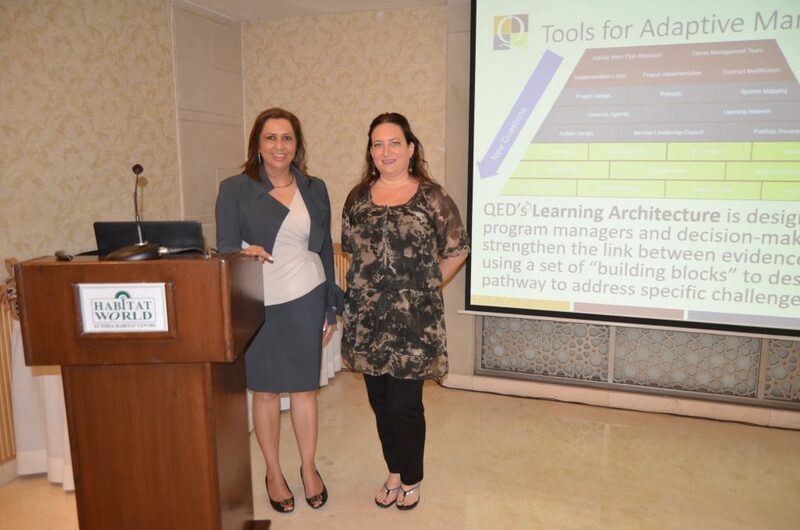 The Learning Architecture provides an easy-to-understand structure, explaining a range of different tools presented as ‘building blocks,’ that managers and decision-makers may use to facilitate organizational learning, strengthening the linkages between evidence and action. 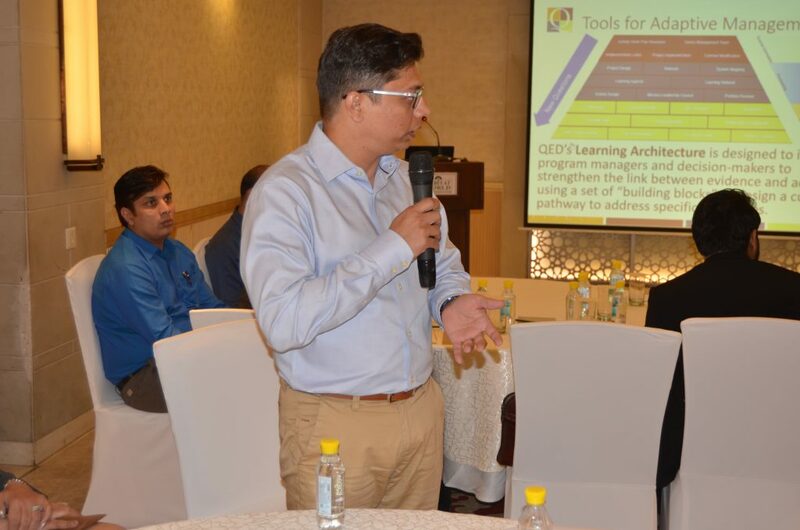 In designing a blueprint for action, the learning architecture is adaptable and not prescriptive. 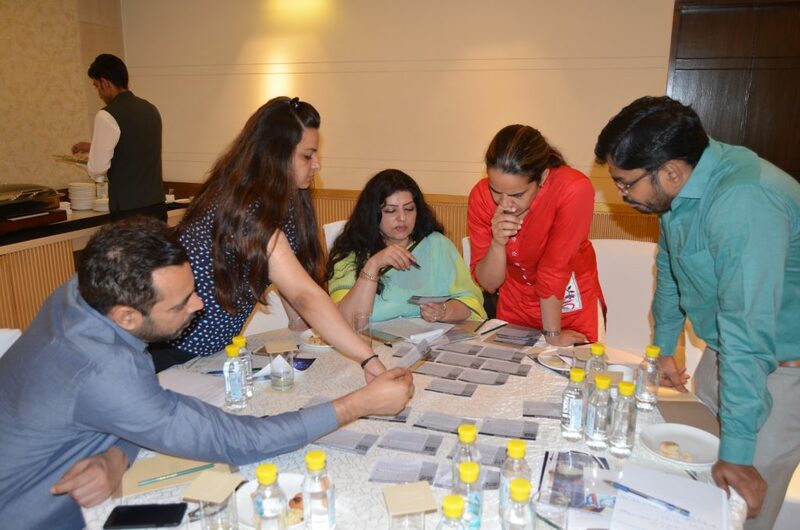 The premise is that no building block stands alone: rather by selecting and sequencing a combination of building blocks, each providing tools to gather evidence and translate it into action, managers and decision-makers can design a custom blueprint to address specific challenges within their context. 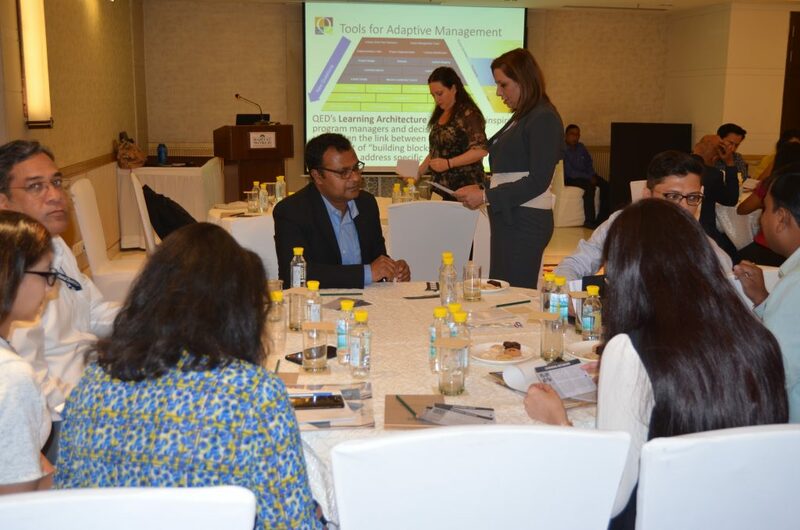 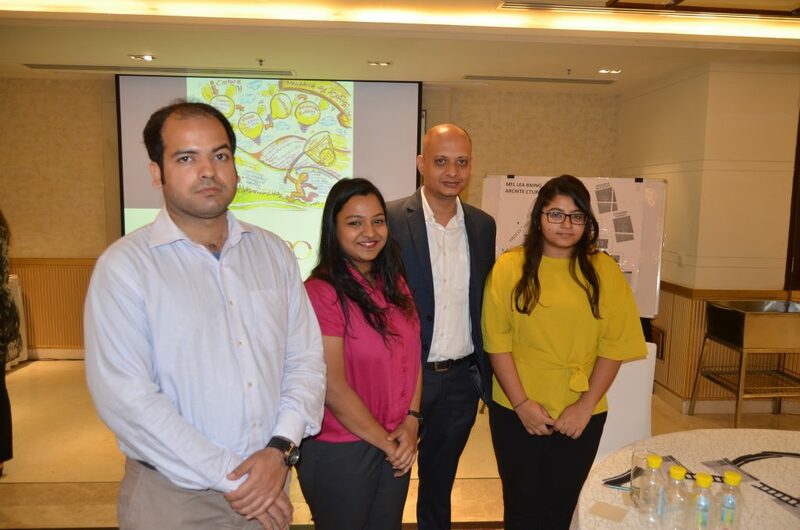 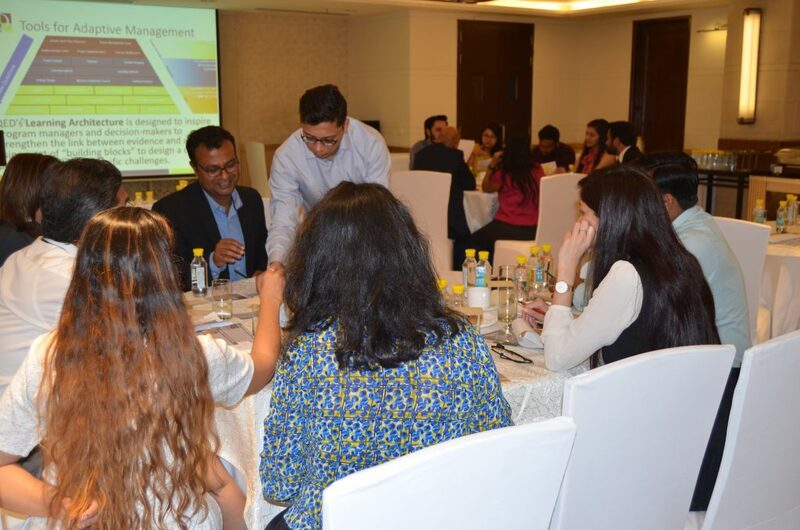 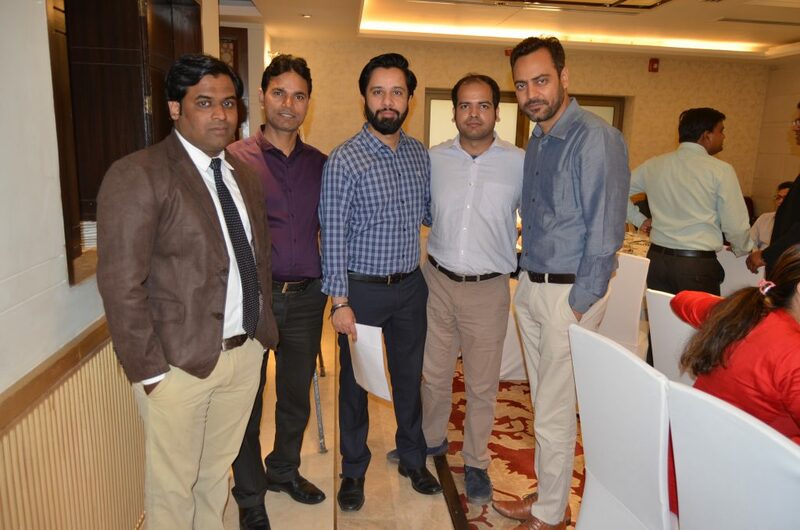 During the program, participants from agencies like USAID India, Asian Development Bank, Population Foundation, Tata Trust, International Initiative for Impact Evaluation (3ie), IPE Global Ltd were introduced to various components of the Learning Architecture by playing a boardgame.